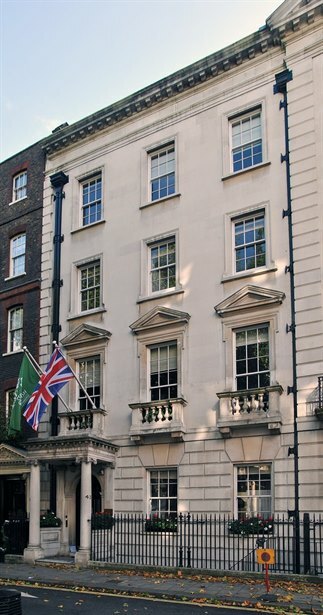 43 Upper Grosvenor Street is located on the south side of Upper Grosvenor Street, directly opposite the American Embassy and close to Grosvenor Square. The nearest underground stations are Marble Arch and Bond Street (Central and Jubilee Lines). The area is well served by varied selection of restaurants, cafes and bars and is easily accessible to the wide range of shopping in Oxford Street. Attractive Period Offices to be Let in Mayfair. We are quoting a rent of £66.00 per sq. ft exclusive. New leases are available for a term of up to five years. The estimated business rates payable equate to £30.00 per sq. ft, however, interested parties are advised make their own enquiries with the council. The current service charge budget is running at £12.00 per sq. ft.